After smoking many cuts of meat labeled as "London Broil" by the grocery meat departments in Washington state, I thought I knew what I was doing. Smoking London broils. I go to the local grocery store to get a London broil to smoke, and the butcher says "Huh? 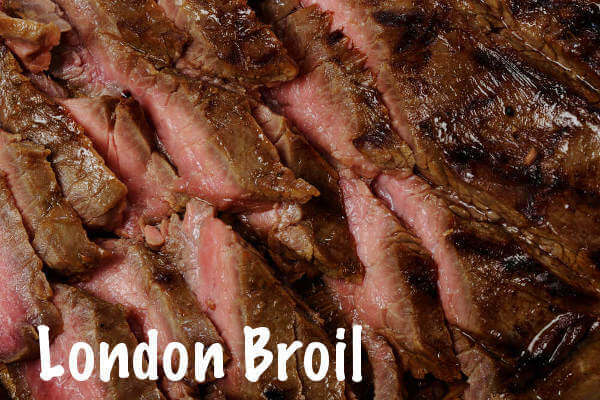 London broil's not a cut of meat. It's a cooking method." He went on to tell me, "London broil started gaining popularity back in the 1930's, and was usually a marinated, broiled flank steak. Now, more often than not, a top round roast is the cut of choice. It's still marinated, and still broiled. And you could still broil a flank steak for "London broil" if you want. So, what'll you have?" I realized that all of those "London broils" I smoked in Washington were actually top round roasts. Smoked top round roasts. So I keep calling 'em by the same name. It can be hard to teach an old, worn out dog a new trick. No matter what it's called, it's smoked, not broiled, and it's a top round roast, or flank steak. Recipe good for up to 5 pounds of beef. Mix together the Worcestershire sauce, soy, vinegar, wine and dry ingredients. Whisk in the oil, making an emulsion. If you don't have a whisk, or the energy to whisk, use a blender or food processor. Pour the oil in very slowly so it incorporates and thickens the marinade. In the smoker, it will take roughly 30 minutes per pound. In the hotter grill, figure on 15-20 minutes per pound. This is just an estimated cooking time. Be sure, and use a good remote cooking thermometer. 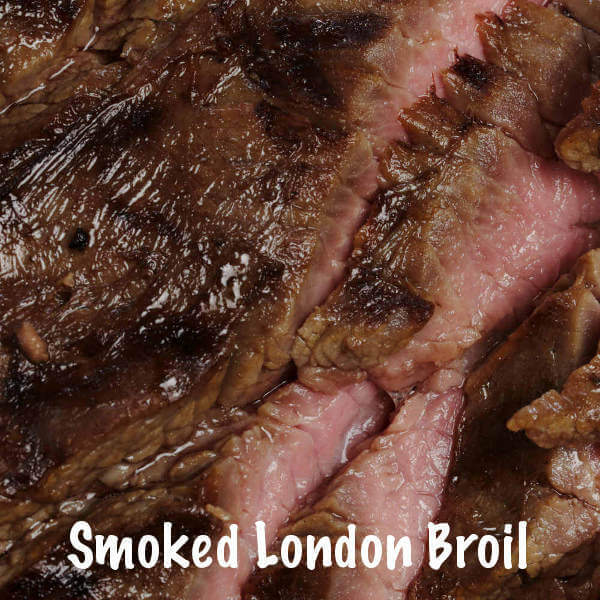 For a different flavor experience, on you next trip to the land of London broil, try this great marinade recipe.